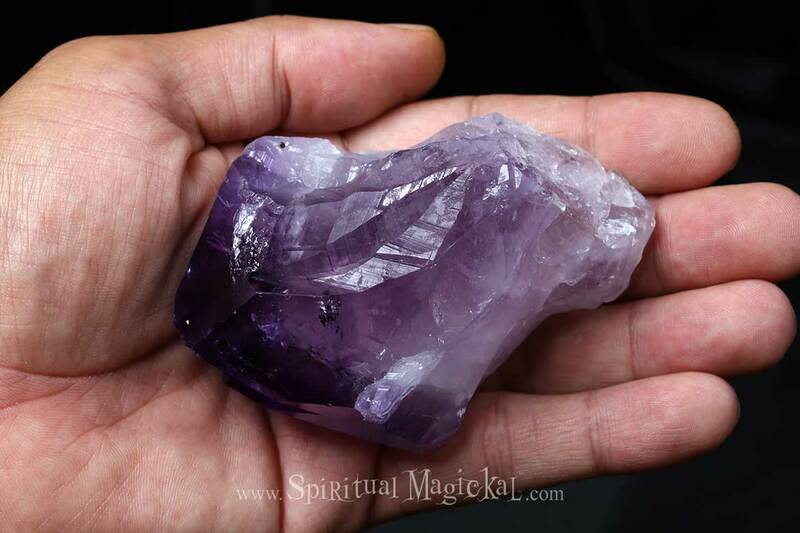 Amethyst Crystal, Raw, Healing, Natural, Brazil. This particular crystal stands 4 inches tall (10.2cm) and weighs 7.5 ounces (212 grams). 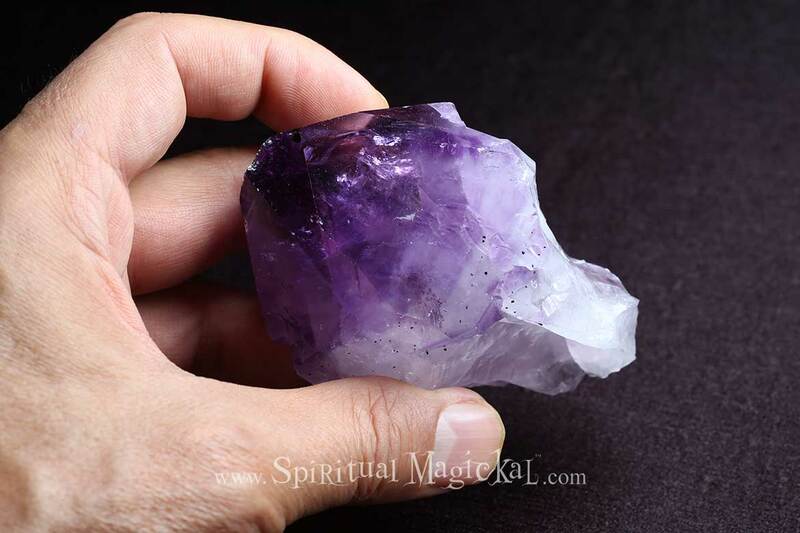 Amethyst crystals is a healing stone of spiritual growth. The Greeks believed that Amethyst stones endowed the wearer with the firmness of character. 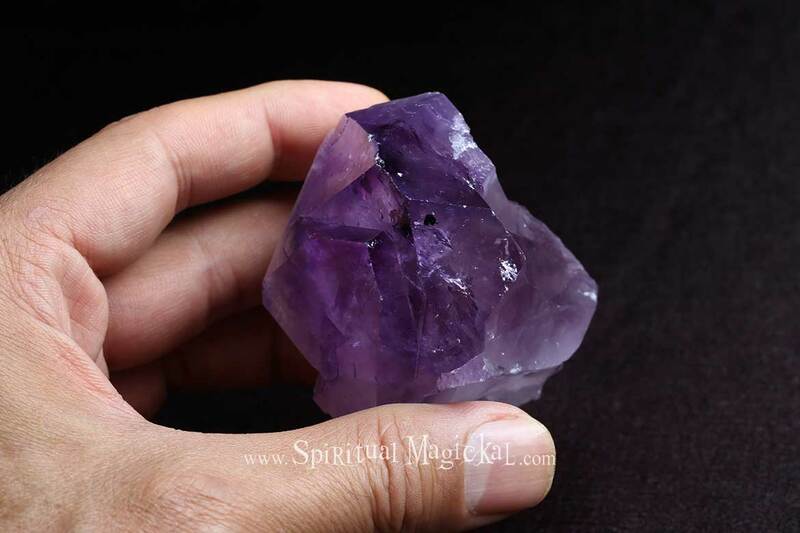 Amethyst stones enhance intuition, inspire creativity and encourage peace and stability. Amethyst crystals and gemstones can also be used for healing, meditation, addictions, pain (physical, emotional, and psychological), protection, purification, opening the 3rd Eye chakra, calmness, sobriety, decision making, recurrent nightmares, geopathic stress, hyperactivity, anger, rage, fear, anxiety, grief, neural transmission, dream work, scrying, divination, intuition, visualization, psychic attack, dispelling illusions, alcoholism, hormone production, endocrine system, metabolism, cleansing and eliminating organs, immune system, blood, headaches and migraines, bruises, injuries, swellings, burns, hearing disorders, lungs, respiratory tract, skin complaints, cellular disorders, digestive tract, regulating flora, removing parasites, insomnia, psychiatric conditions other than paranoia or schizophrenia.